Did you know that you could have a customized tiny house built just for you by a company that actually specializes in building homes on a smaller scale? When speaking of tiny houses, we are referring to homes that ranges from 20-30 feet long and up to 11 feet wide, with a limitless amount of floor plans and interior options to choose from. Tiny homes can be built one of two ways; you can buy the plans and build it yourself or you can have it built by a company like ours, the American Tiny House Company. The Freedom Series homes are 100% portable. They can be picked up and transported to anywhere you would like because they are built on a trailer. Our tiny house company can help make owning a tiny home a reality for you and work with you directly to make sure you have everything you want and need. When you have a tiny home built by our company, you can rest assured you have professionals who know how to make a custom home using only the best materials and work with 100% integrity. It is important to choose wisely because of your tiny homes small size, it needs to be made solid enough to withstand not only the elements but the movement that occurs in travel. Our company specializes in the creation of unconventionally small homes. We offer many options to make your tiny home perfect for you. Maybe you have seen a house plan that you really liked and have access to it, a good tiny house company can help you turn it into a viable tiny home. We are that company. 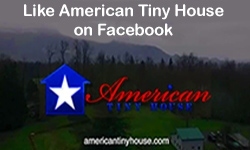 Tiny homes are not just something you dream about, they are something you can easily turn into reality and American Tiny House is the perfect company to help you with this. The craftsmanship we offer you is going to be superior to anything you might be able to make yourself, because we have the experience and expertise you need to ensure the safety and quality of your custom tiny house. Having a tiny house made for you by our reputable company is going to ensure you end up with a finished product you are going to love and will surely be proud to show off to others. You have to take the next step though and decide to give one a try. These types of homes are not going to take long to build, they are not going to be too expensive to build, and in the end will offer you many advantages over owning a home that is standard-size. 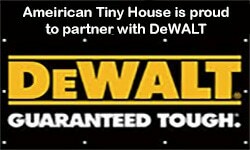 Contact the American Tiny House Company today to get started on building your new home.